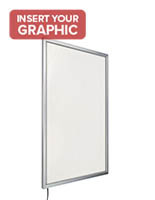 Lightbox displays are great tools to present eye-catching graphics. 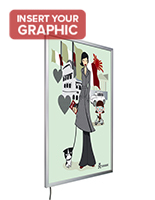 No matter the signage or advertisement, the passersby will certainly give it notice when they are in these panels. 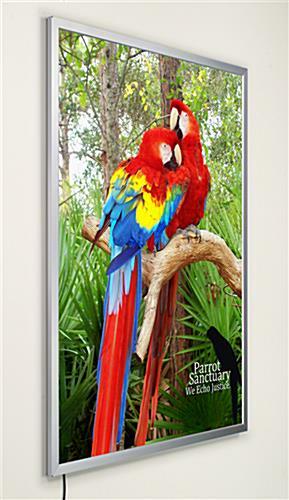 These illuminated poster frames, lightbox displays are designed to hold a 36" x 48" poster. 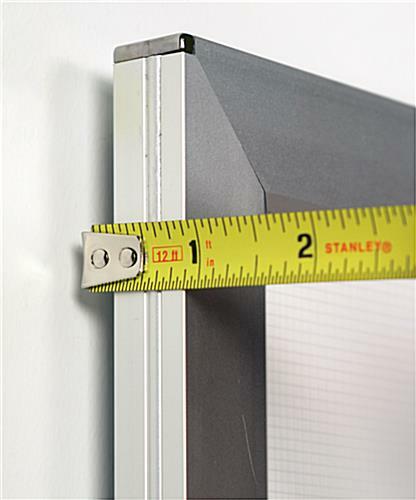 Holders are versatile enough to orient both vertically or horizontally. 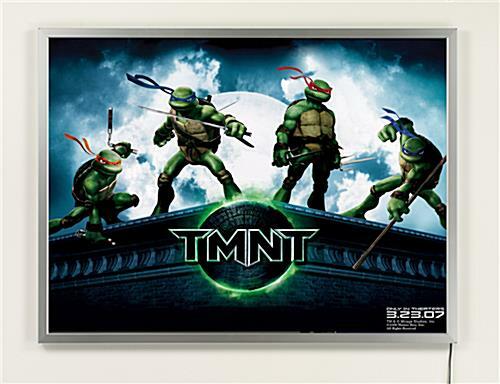 We even provide the lightbox displays with the necessary mounting brackets and hardware for either orientation. In addition, sign changes with these models are a "snap." 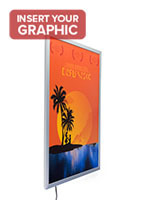 These lightbox displays with LED bulbs, also known as light box signs, feature snap-open framing. 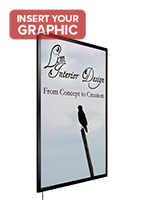 You can therefore leave the large holders attached to a wall, even during a graphics change! 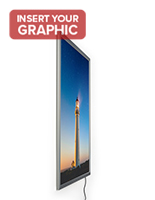 These lightbox displays with edge lighting are equipped with LED bulbs for a lasting. They are highly recommended for retail stores and shops. 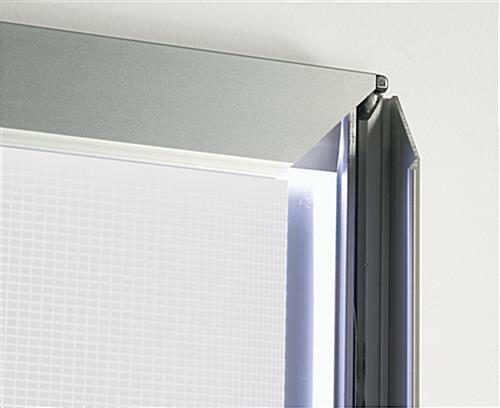 The illuminated sign holders, lightbox displays that illuminate are also affordably-priced to fit any budget. These models combine high quality and low price. 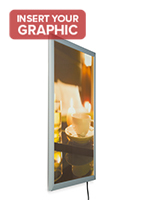 When you are looking to incorporate illuminated signs into a presentation, choose these LED lightbox displays that mount for best results. They only require 24 volts of electricity to operate! 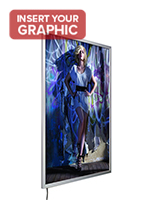 These particular lightbox displays that clip onto graphics provide you with an energy-efficient and cost-effective illuminated poster frame. 37.4" x 49.5" x 0.9"
This is beautiful, Joseph! Thank you for sharing your feedback and these pictures with us. We're so glad this product worked out for you. We hope you shop with us again soon.